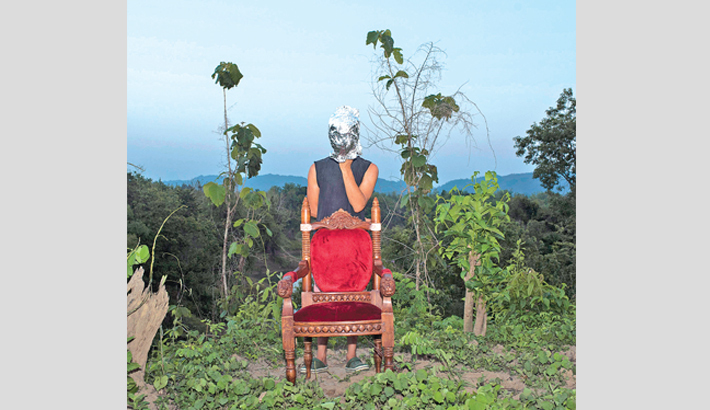 A week-long solo photography exhibition titled ‘Disappearing Roots’ by documentary photographer and visual artist Samsul Alam Helal will be inaugurated on March 23, 2019 at National Art Gallery, BSA. The opening ceremony of the exhibition will be graced by the presence of chief curator of Dhaka Art Summit Diana Campbell, anthropologist and columnist Rahnuma Ahmed, Chakma queen Yan Yan, and researcher and professor of Jahangirnagar University Dr. Sayeed Ferdous. The artworks focus on the displacement in the hill tract areas of Bangladesh, feature the remaining traces of the ancient ways of life and highlight the violence of gentrification. The Kaptai dam was built in 1962 to produce hydropower in the country. But during its construction people were displaced in large numbers and the palace of the Chakma king was washed away deep into the lake. Through sound, photographs, 3D model and video, the works put emphasis on the impact of so-called development projects on the lives of indigenous communities. Samsul Alam Helal completed his graduation in photography from Pathshala South Asian Media Institute. He wants to tell the stories of people (the minorities and the neglected ones to be particular). Through his photographs, Helal explores their identity, dreams and longings to raise our curiosity about them. He prefers a studio set-up where works are presented in dramatic moods and vibrant colours. Rejecting the narrations of mere fictions, his works bring a reality of these people in an alternative way. Helal was awarded ‘The World Press Photo Joop Swart Masterclass’ in 2016. The exhibition will come to an end on March 29, 2019.